I experienced my first Nia class in San Rafael, California—the birthplace of Nia—in 1993. By the end of that hour with France-Laude I knew I had discovered something wonderful. And I knew I wanted to share it with others. 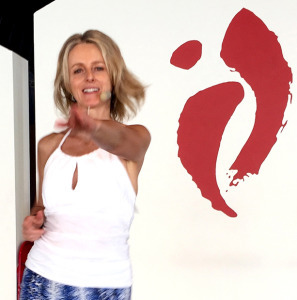 After practicing and teaching intermittently for over 20 years, Nia continues to be a powerful tool for me to embody self-awareness, joy, sensation, understanding, inspiration, power and purpose. It has helped me heal physical and emotional conditions, empowered me from the inside out, and continues to inspire me to a deeper understanding of the body’s way and all the gifts it has to offer. Sharing the Nia Technique is one of the great joys of my life; I love seeing the effect it has on people, and there is always something new to learn and experience. I see every class as a journey, with the opportunity to become more in tune with that which deeply moves us. My personal Nia motto is Move and Be moved.